← Free Text Load and More from Knorr Get More Promo! We had our Baguio Trip 2016 last April 29 to May 2. On our first day in the City of Pines, we had dinner at Good Taste Restaurant. It was late afternoon when we went there, and the place was already teeming with people. There was nothing fancy about the place. In fact, there are only monoblock tables and chairs inside, but the multitude of customers were enough proof that we shouldn’t leave Baguio without trying out this dining place that offers Filipino and Asian cuisines. This Fish Fillet with Vegetables is as good as it looks. It’s loaded with breaded fish fillets and fresh and crisp veggies. 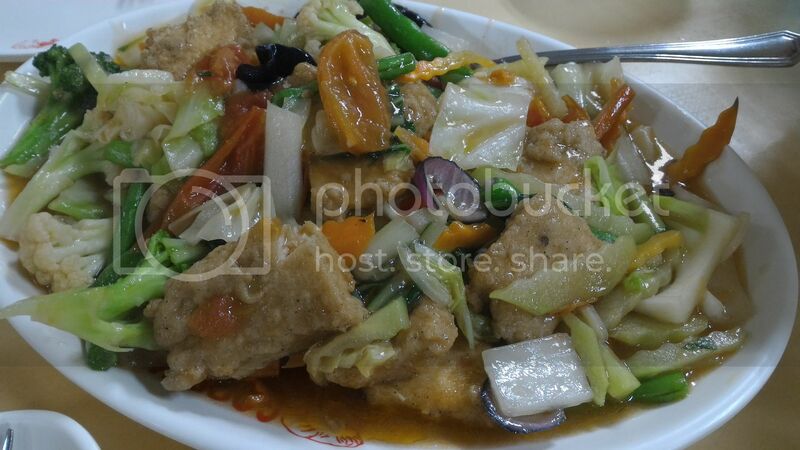 It’s actually like Chopsuey with fish, instead of pork. My photo doesn’t give justice to Good Earth’s Crispy Pata. The pork skin is so crispy (see the skin blisters!) and the meat inside is soft, moist and flavorful. 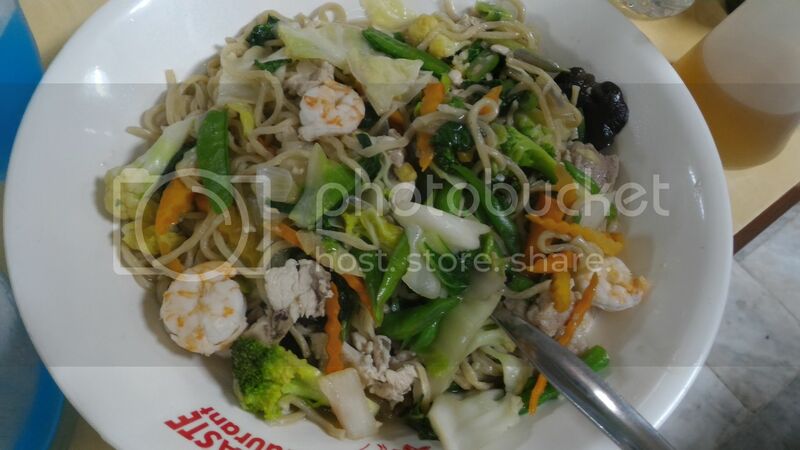 The Fish Fillet with Vegetables and Crispy Pata were already more than enough for our group of two adults, two teenagers and one kid, so we had this Pancit Bihon wrapped for take-out, plus we also ordered freshly baked pandesal to go with it. We’ve had some of it (Pancit Bihon + pandesal) in our hotel room for midnight snack, and both were good! As you can see in the photo, there’s no scrimping of ingredients in this Pancit Bihon. Here are the things we like about Good Taste Restaurant: (1) The prices of food are so affordable. (2) The servings are generous. They need to improve their quality of service, though. Because there were a lot of people inside the restaurant when we were there, it took a while for our orders to arrive, plus there’s a member of the waitstaff that wasn’t attentive to our needs. This entry was posted in Asian Cuisine, Baguio, Crispy Pata, Filipino Cuisine, Fish Fillet with Vegetables, Good Taste Restaurant, Pancit Bihon. Bookmark the permalink. Oh that crispy pata makes my tummy growl. It’s been a while since I have one. We ate in this restaurant during our last visit in Baguio. The taste of the food is just ok for us. Marami rin tao nung nagpunta kami. We tried Good Taste during our last Baguio visit, sad to say except for the low price and hefty serving I can’t say much about the quality and taste. It is a good place to go for big (really hungry) goups but not for foodies looking for delectable and the full experience dining. Been to Good Taste and enjoy e our quick brunch there. Our tour guide brought us there and told us its one of Baguio’s sought after place. Though i enjoyed the food, i would prefer to eat in other places should we return to Baguio. Ohh, we were in Baguio not too long ago, but never saw this resto! Sayang. oh wow! Yummmy!!! These are my comfort foods, mga pinoy recipies. ang sarap naman nito! Nagutom ako lalo! For any restaurant, good customer service is important, especially when you have good food. A lot of people will want to try the food you’re serving so it’s good to be accommodating. The food here looks awesome! And I love that it’s affordable too. I haven’t been back to Baguio since 2008! It’s been THAT long. I’ve never had a chance to try Good Taste restaurant there. Would love to taste their crispy pata! Food in Baguio seems cheaper compared to Metro Manila. 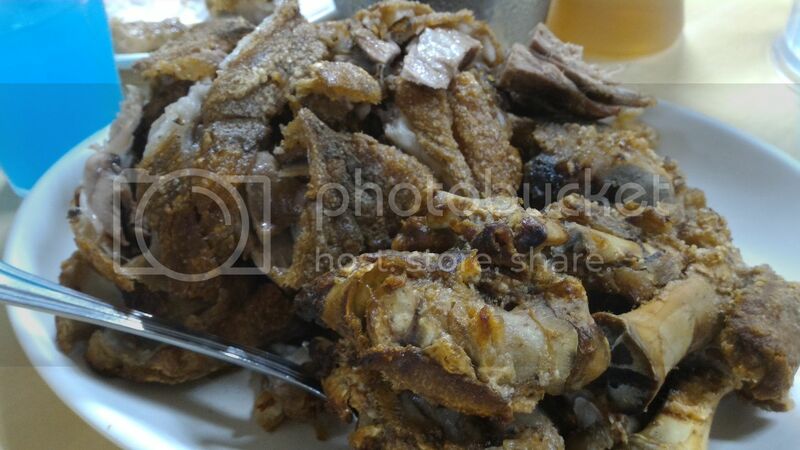 That crispy pata looks sinfully delicious! Ive never been to Baguio. I think I will look for hot soup or anything with hot sabaw, panlaban sa lameeg!